5. Any article or parcel of which a claim has not been maid within 8 weeks from despatch. The sender has a sole right to compensation which ceases when the parcel is delivered to the addressee. The addressee has sole right to claim for compensation after accepting the delivery of the parcel. Either the sender or addressee may waive the the sole right to claim to the other or a third party. If the addressee wishes to make a claim, he/she must notify the local post office immediately. the parcel, including the wrapping and packaging must be taken to the office for inspection. if the requirements are not observed, the local post office authorities may refuse to consider any compensation claim. If the addressee waives compensation to the sender, Australia post will not pay compensation unless the addressee has complied with the requirements referred to in the preceding paragraph. 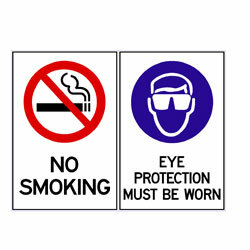 Total Safety Signs recommends you that you notify these requirements to the addressee. 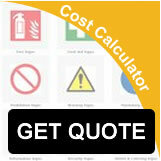 Claims are not valid unless they are made within 8 weeks from the despatch date. Claim forms are available at your local post office. NOTE: INFORMATION PERTAINING TO PROHIBITIONS, RESTRICTIONS, MAXIMUM QUANTITIES ALLOWABLE AND SPECIAL INSTRUCTIONS SUCH AS EXPORT PERMITS, IMPORT CHARGES ETC FOR EACH COUNTRY IS AVAILABLE UPON REQUEST.